One of the cheapest TVs on the market is also one of the very best. It's just as simple as that. This review is taken from a larger feature which compares this TV with Samsung's entire range. You can read that here. It's also on our list of Top 6 TVs for 2016. The ULED Series 7 TVs come in the following sizes (all flat): 50in ($1,499), 55in ($1,999), 65in (3,499), 70in ($3,999), 75in ($4,999). Hisense's Series 7 TVs are thin and smart and doesn't look cheap at all. In terms of looks, there’s not much between the Hisense and Samsung’s 8000 series TV. It looks like a quality piece of kit and it’s impressively thin. The remote doesn’t look like much but it’s very responsive for everything (a refreshing change) and also has dedicated YouTube and Netflix buttons. It's a bit ugly, but tough, functional and very responsive. With budget TVs we’re used to the operating system being cheap and poor which is an issue for Smart TVs as we expect them to have all manner of useful apps these days. Hisense uses the Opera system and it works very well. It’s not as well stocked as Sony’s Android system but it’s much better supported than Samsung’s own Tizen system and it rivals LG’s impressive WebOS environment. We were impressed. 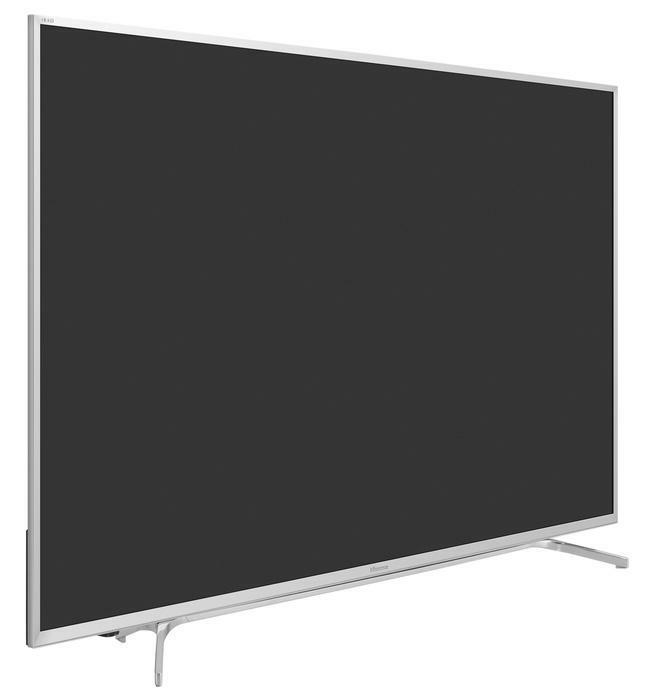 We expected great things from this TV, having seen it on display at the Grand Prix and we were not disappointed. UHD content is as bright, detailed and vibrant as anything we’d seen anywhere it’s at least equal with Samsung and Sony’s best and also rivals LG’s OLED. 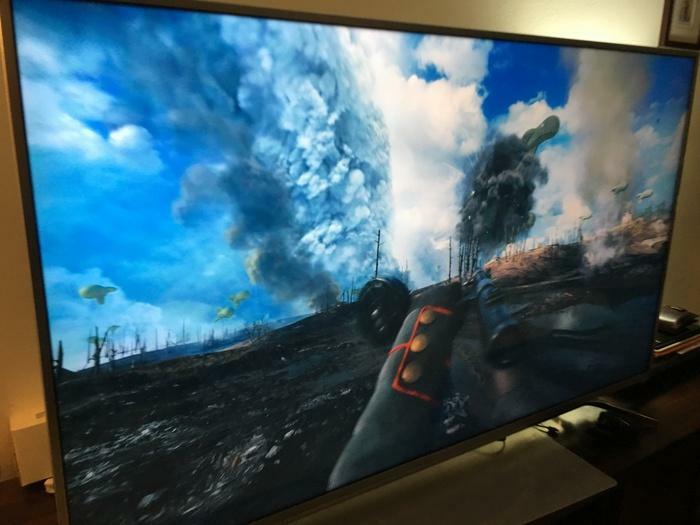 The Battlefield 1 4K, 60fps Real Life mode demo looked spectacular on this TV. When watching movies in the dark we could make out letter box bars in certain scenes with bright flashes of light, but they weren’t distracting and performance was superior to Samsung’s best. Bright reds from The Martian but virtually no bleed coming from the edges meaning contrast is excellent and letter box bars stay blacker. We had to play around with Sony’s picture settings to get the best contrast from Sony but we didn’t need to do that with Hisense – it retained vibrant colours while exhibiting impressive contrast – not quite as consistently as LG's OLED levels, but some of the best we’ve seen on an LCD TV. Credits scrolled more smoothly than many competitors can manage. Our only slight qualm was that some dark areas seemed to lose detail and turn black too quickly in particularly-dark content. 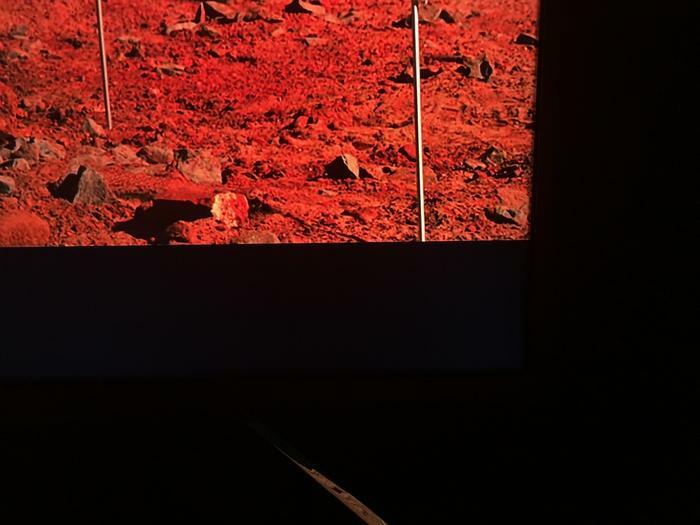 It wasn’t distracting but we expected an HDR screen to do a bit better. It’s a very minor gripe though. Netflix 4K content was impressive, motion was smooth. We only saw any artefacts if someone moved quickly across a patterned background but all rivals do that too. Uniform areas of colour stayed uniform with no blocky artefacts. It wins for top quality.